This is the remarkable story of one endearing dog’s search for his purpose over the course of several lives. 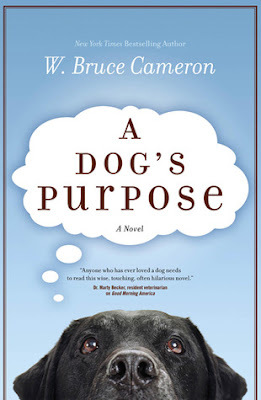 More than just another charming dog story, A Dog’s Purpose touches on the universal quest for an answer to life's most basic question: Why are we here? This book was so sweet and cute. Told entirely from the dog's perspective over the course of 4 different lives, it made me want to rush home to my dog and let her know how much she is loved and cared for. I don't understand how some people can be mean and abusive to a dog, when all they wish for and need in the world is to be loved. The dog's relationship with the little boy, Ethan, throughout his life was the most touching story of all, and I can only hope that my dog understands human emotion and understanding the way the dog in this book did. This is a must read for any dog-lover or dog-owner out there. I'm putting this on my book list as I am definitely a dog lover. Thanks for the review!